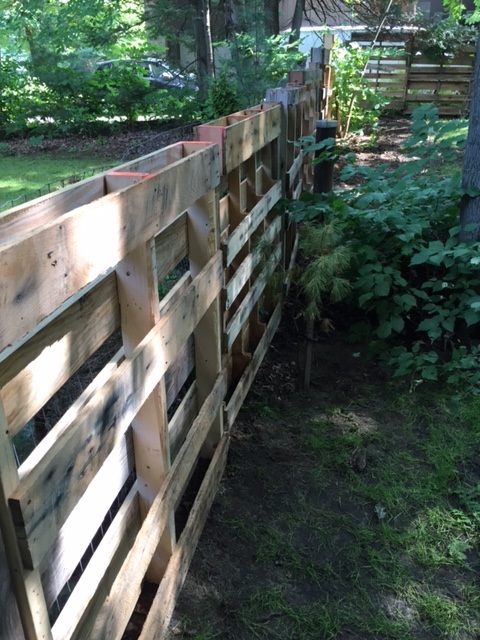 I had a few extra pallets as I tend to use recycled strapping for projects. The strapping is a lot less effort taking apart and I can usually get it in larger quantities. 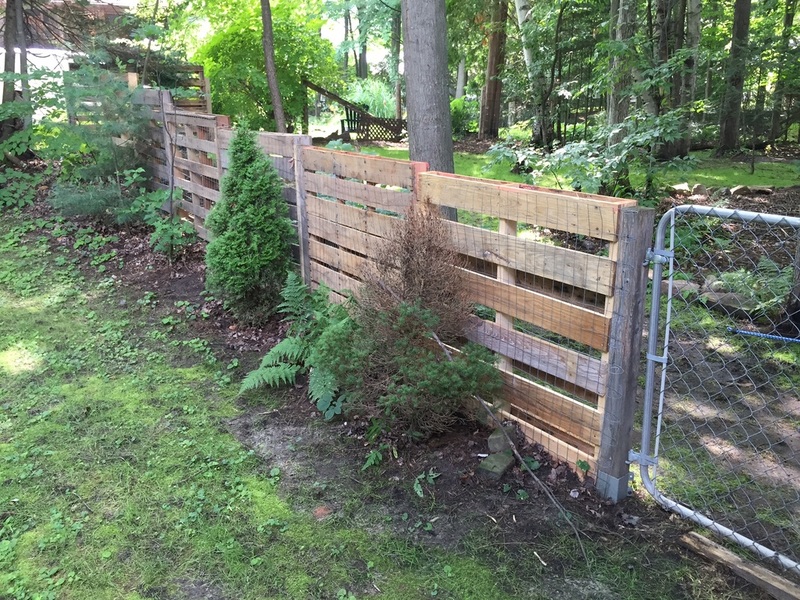 I decided to test using the full size pallets as fencing material. 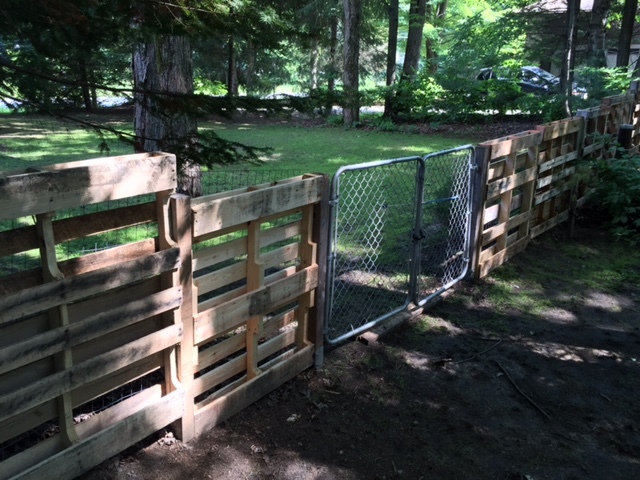 I have a dog fence around the property 2 & 1/2 sides are neighbours fences. 1/2 side is fencing nailed to a tree line. Out the front side I previously installed a simple fencing material nailed to simple posts roughly 8ft apart. 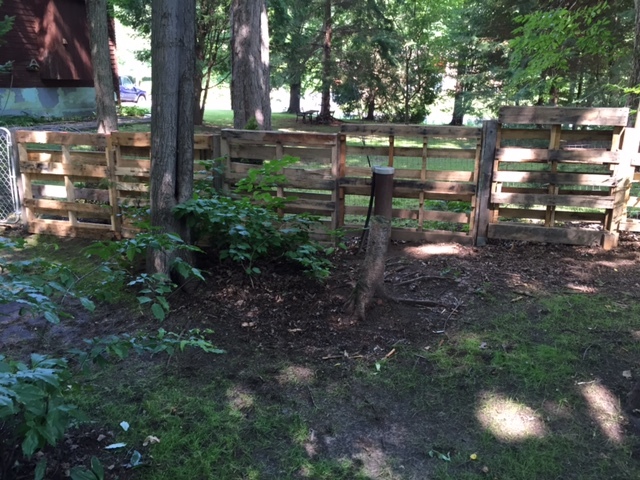 I added double large pallets between the posts. I think it looks very good and I am happy with the experiment. I will let it colour naturally. Unfortunately the rear side of the pallets does not look as good. 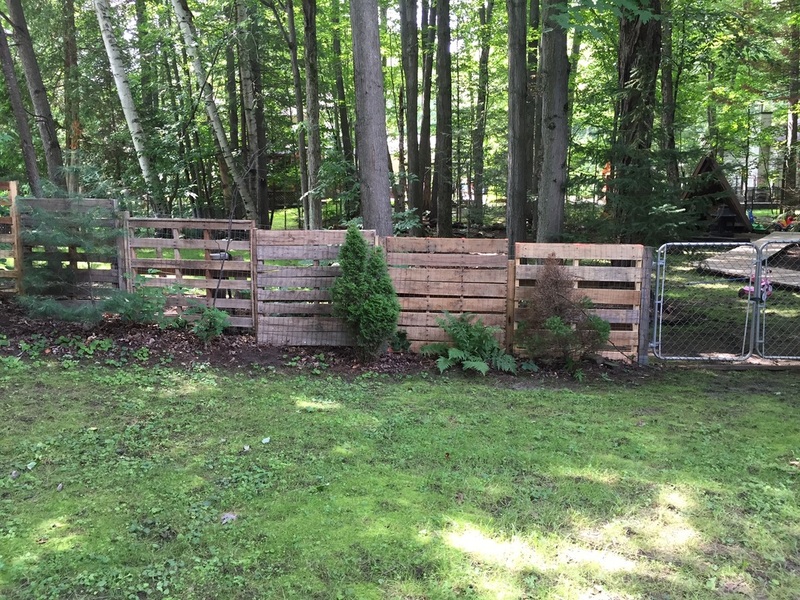 Also in retrospect maybe I should have picked pallets with vertical pieces of wood.